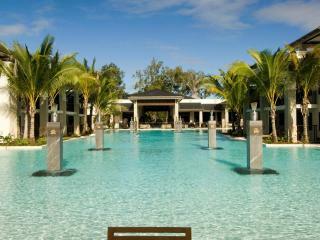 Pullman Port Douglas Sea Temple Resort & Spa boasts luxurious five star accommodation in the must see town of Port Douglas. This stunning and modern Port Douglas accommodation offers a great beachfront location at the southern end of Four Mile Beach. A short drive from the resort is the main Port Douglas village that is set on Macrossan Street and is lined with boutiques, art galleries, restaurants, cafes and bars. From Pullman Port Douglas Sea Temple Resort & Spa you have easy access to the World Heritage Daintree Rainforest and the Great Barrier Reef. This Port Douglas resort features a range of luxury hotel and fully self contained apartment style accommodation in Port Douglas, some with a private roof top spa and golf retreat apartments with a private plunge pool. Whether you want to laze by the magnificent lagoon pool or enjoy the spa and massage facilities on offer, Pullman Port Douglas Sea Temple Resort & Spa offers the finest in Port Douglas resort accommodation. The Pullman Port Douglas Sea Temple Resort & Spa is a fantastic place to base yourself while discovering tropical north Queensland. Spend a day on Four Mile Beach, head out to the Great Barrier Reef, explore the Daintree Rainforest and Mossman Gorge. 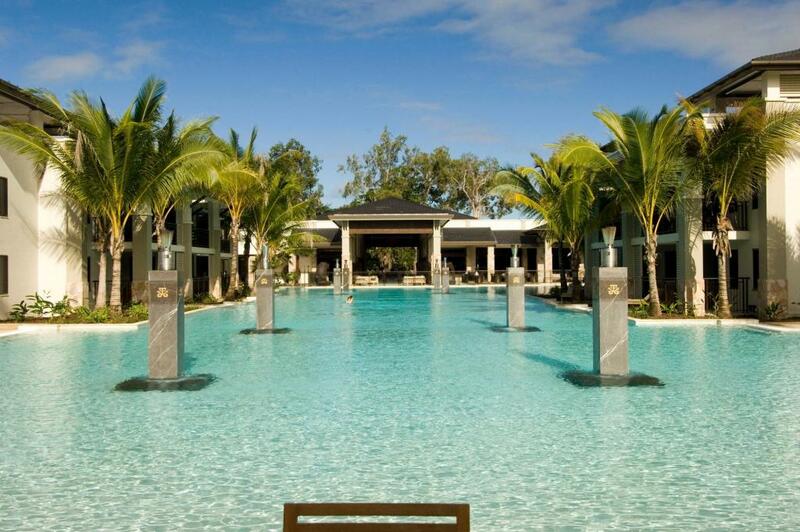 Whether you are on a fun filled family holiday, relaxing couples escape or on holidays with a group of friends the Pullman Port Douglas Sea Temple Resort & Spa is the perfect place to base yourself in this popular holiday destination. Pullman Port Douglas Sea Temple Resort & Spa offers luxury studio, 1, 2 & 3 bedroom holiday apartments, the 2 bedroom apartments are swim out and the penthouses offer rooftop spas. Studio Spa: Hotel Style rooms located on the ground or first floor with furnished balconies. King Size spa bath is also a feature. Bedding is 1 King bed or 2 Single beds. Maximum room capacity is 2 Adults & Children. 1 Bedroom Penthouse Apartment: Fully self-contained apartments with spiral staircase leading to the rooftop spa and outdoor area. Bedding is 1 Queen Bed. Maximum room capacity is 3 Adults & Children. 2 Bedroom Penthouse: Fully equipped kitchen and laundry services. The Spiral staircase will take you up to the private rooftop terrace with Spa, BBQ and outdoor setting. Bedding is 1 King Bed + 1 Queen Bed OR 2 Queen Beds. Maximum room capacity is 5 Adults & Children. 3 Bedroom Plunge Pool Apartment: With all of the facilities of the 3 Bedroom Apartment this apartment boasts a private courtyard and fully fenced plunge pool. Bedding is 1 King Bed + 2 Single Beds + 1 Queen Bed OR 2 King Beds + 1 Queen Bed. Maximum room capacity is 7 Adults & Children. 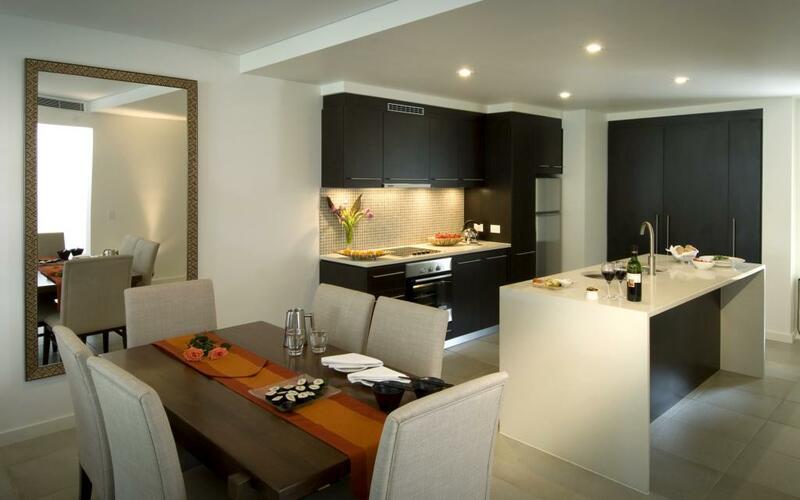 3 Bedroom Swimout Apartment: With all of the facilities of the 3 Bedroom Apartment and situated on the ground floor with direct access to the lagoon pool. Bedding is 1 King Bed + 2 Single Beds + 1 Queen Bed OR 2 King Beds + 1 Queen Bed. Maximum room capacity is 7 Adults & Children. Aqua Restaurant: Take advantage of the magnificent views over the lagoon pool in the 128 seat restaurant which serves delicious meals throughout the day. Buffet breakfast is served daily with a la carte lunch and dinner also available. Special children's menus can be arranged for the little ones. Pool Bar: Guests can enjoy a deliciously refreshing cocktail or snack while enjoying the tranquil surrounds. Vie Spa: Sea Temple Port Douglas's world-class spa will tune in to each of your senses to equate your inner balance with that of the paradise that surrounds you. It is a place to rediscover essential sensory pleasures, from the tenderness of touch to the soothing properties of aromatic oils. Pullman Port Douglas Sea Temple Golf and Country Club: Ranked in the top 6 links style golf courses in Australia the 18 hole golf course is suitable for beginners through to professional players. Port Douglas is the gateway to the Great Barrier Reef and the Daintree Rainforest and with it's miles of white sandy palm fringed beach is a great holiday destination for both international and local visitors. From Port Douglas you can choose from a wide range of sightseeing tours and activities explore the reef, or rainforest, play a round of golf, go deep sea fishing or just lay back and relax. 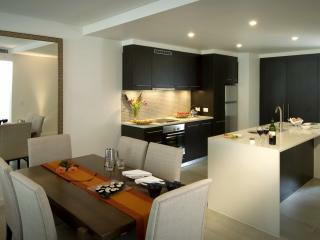 Port Douglas accommodation ranges from budget motels to luxury apartments - something for everyone. Children: 12 years and under are free of charge on existing bedding. Cots are available at an additional charge payable direct to the property.